LINKIN PARK‘s Mike Shinoda has announced his first solo show — his debut live performance as a solo artist following Chester Bennington‘s death last July. 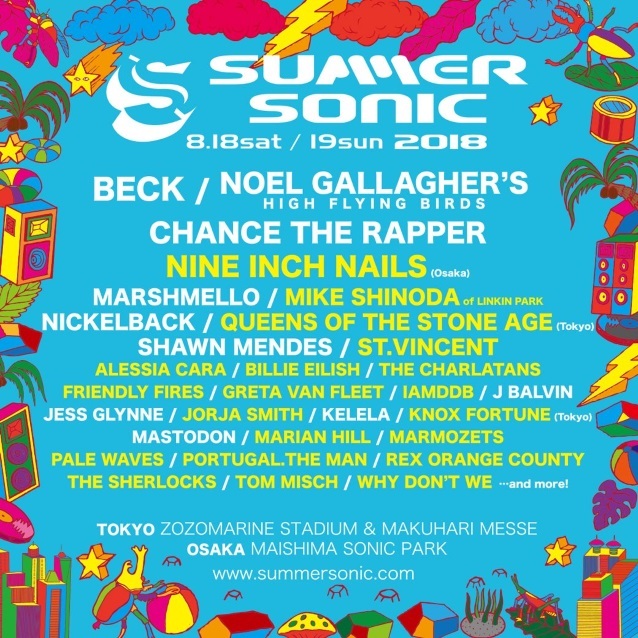 Shinoda will perform at this year’s edition of Japan’s Summer Sonic festival, set to take place August 18-19. Also scheduled to appear are NINE INCH NAILS, BECK and QUEENS OF THE STONE AGE, among others. Late last month, Mike said that he had “every intention” of continuing with LINKIN PARK. Shinoda spoke out on the band’s future after he released a surprise three-song EP titled “Post Traumatic” in which he directly addresses the LINKIN PARK singer’s death and his own anxiety over what would come next. Bennington committed suicide on July 20 at the age of 41. In the months that followed, fans have speculated about LINKIN PARK‘s future, with some wondering if the group would stay together. LINKIN PARK paid tribute to Bennington last October with an emotional three-hour show that featured numerous guests joining the band onstage at the Hollywood Bowl in Los Angeles.